Line Corp. said Tuesday it has teamed up with Tencent, China’s largest messaging app provider, to allow Chinese travelers in Japan to make cashless payments via smartphone. Line, Japan’s messaging app giant with 78 million users, is stepping up its bid to become a major cashless payment platform by targeting Chinese tourists, who represent the biggest group of foreign travelers to Japan. During a Tokyo event, Line also said it will offer a banking service with Mizuho Bank. Line will own 51 percent of the planned joint firm and aims to launch services in 2020. Tencent operates WeChat, a messaging app with 1 billion users, and provides a smartphone payment service called WeChat Pay, a widely used platform in China that uses QR codes. “Demand by inbound tourists will surely surge from this point on, and Line Pay will enable stores to be ready for that,” Hisahiro Chofuku, chief operating officer of Line Pay, said during a news conference. 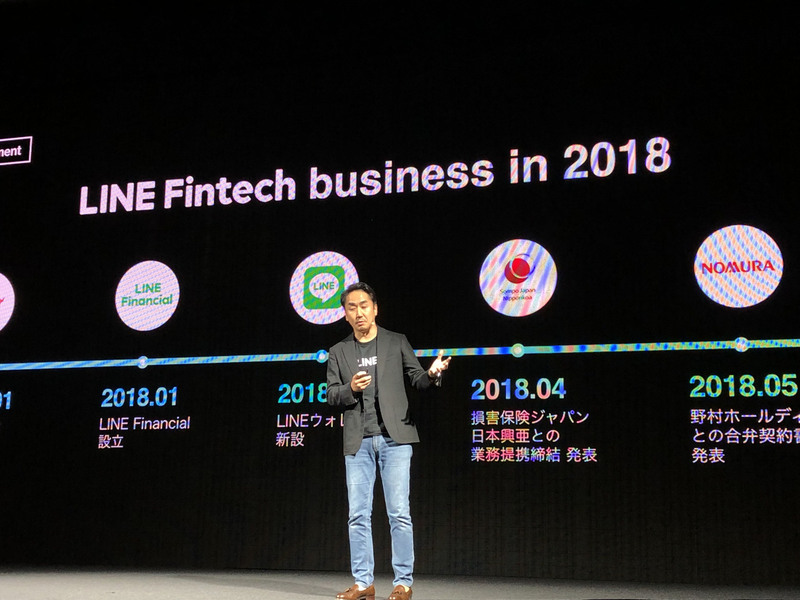 Line said WeChat Pay users will be able to purchase items with WeChat Pay at stores in Japan that accept Line’s mobile payment platform known as Line Pay starting next year, but the exact timing is undecided. Some large stores popular among Chinese tourists already accept WeChat Pay, but many smaller retailers do not, so Line will aim to spread Line Pay and WeChat Pay to such outlets, Chofuku said. “More Chinese people are visiting Japan in recent years,” said WeChat Pay Vice President Freedom Li. “I am sure WeChat Pay will bring value and help Japanese retail stores. “With this strategic partnership, we’d like to contribute to promoting cashless and mobile payment in Japan through inbound tourism,” he added. Japan has been lagging in terms of cashless payments compared with other nations, including China and South Korea, and the government is aiming to boost the ratio of such payments to 40 percent of all settlements by 2027, from 20 percent in 2016. Line also said it has partnered with South Korea’s Naver Corp., Line’s parent company, to enable Naver users to make cashless payments. Naver operates Naver Pay, a smartphone-based service that has about 24 million users. 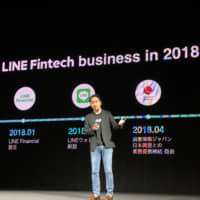 In addition, while Line Pay services in Taiwan, Indonesia and Thailand — where Line is dominant — have been limited to local use, customers from those places will be able to make payments with the app in Japan starting next year. Combining Japan, Taiwan, Indonesia and Thailand, the number of Line Pay users totals about 40 million. With hundreds of millions of potential customers in Asia, “we think there are hardly any reasons not to accept Line Pay now,” Chofuku said. Line has been eagerly promoting its Line Pay service over the past several months. It allows users to make payments by scanning QR codes, plastic cards or smartphones equipped with FeliCa chips. In June, the firm said it would boost the number of Line Pay-ready stores to 1 million this year, and Chofuku said Tuesday that goal has already been met.